Remember when Ford decided that it was killing the Fiesta in the United States (again)? With it went the likes of the Fiesta ST, meaning that we lost one of the smallest, most fun little hot hatches that scooted around the streets. But don't worry. Ford has found the solution. After 2017 proved to be its best year to date for SUV sales, the Detroit-based automaker decided that it was going to make a performance variant of something. 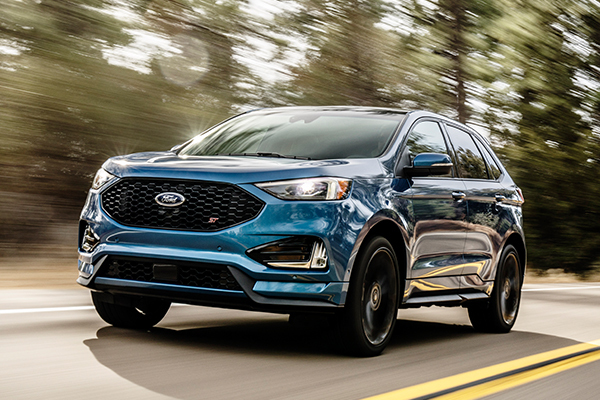 This is the Ford Edge ST.
Ford mentions that it has ST'ified the suspension for superior handling, but fails to mention if anything was done about the Edge's poor turning radius. After driving an Edge and owning a Focus ST for a few years, I can vouch for the turning radius to be roughly the size of the equator. Ford's first punch into the ST lineup sold in the States, the Focus, comes equipped with an electric steering rack that features variable ratio steering. In 2016, Ford then moved this technology into the Edge platform, meaning that the steering is likely as good as it's going to get. Ford embodies a similar grille approach to the Focus ST, yet leaves a very aggressive police-interceptor look in place that is still appropriate for a consumer-grade vehicle without looking like it's on the job. 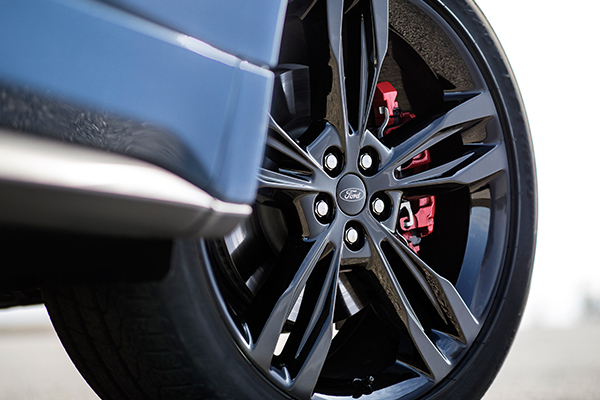 Big brakes, a flashy color, and modernized design just make the big ol' grocery hauler a bit more than that. Ford wants to push the vehicle as a "performance SUV," subtly hinting that it should be compared in a similar class to the family of go-fast Jeep Grand Cherokee models. 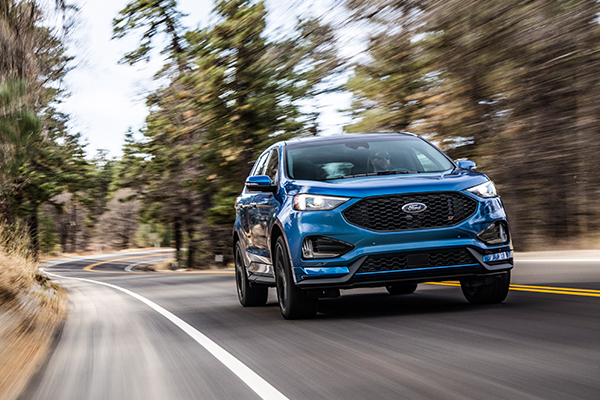 "Edge ST puts a new animal on the road—a performance SUV with a track mentality," said Hau Thai-Tang, Ford's executive vice president of Product Development and Purchasing. "From a performance standpoint, and with its SUV silhouette and versatility, it sets a new standard Edge fans will love to drive." A quick glance over makes it seem like an inflated, edgier (no pun intended) Focus ST with the inner-dad in mind. It has the convenience of a larger vehicle with the heart of a hot hatch, and most of the cool still intact. Ford even put a little video together (featuring a familiar face from Donut Media) of the new performance SUV to showcase its sportiness. Technology was also a big focus of the Edge ST. Ford has introduced a series of Level 1 autonomy features including assistive steering to avoid collisions, adaptive cruise control, lane departure warnings, and more. Additionally, the Edge will keep Ford's Sync 3 platform and enable Amazon Alexa in the vehicle. This means that the Edge will be a connected vehicle, also having a wireless hotspot for up to ten devices in the car. 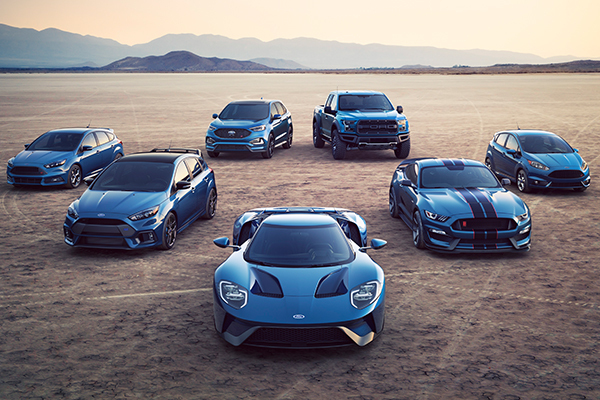 To be honest, when we heard that there was going to be a new ST-branded car, we pretty much considered everything else, calling the edge "not the craziest thing" Ford has done. As it turns out, that's exactly what the manufacturer had up its sleeve. 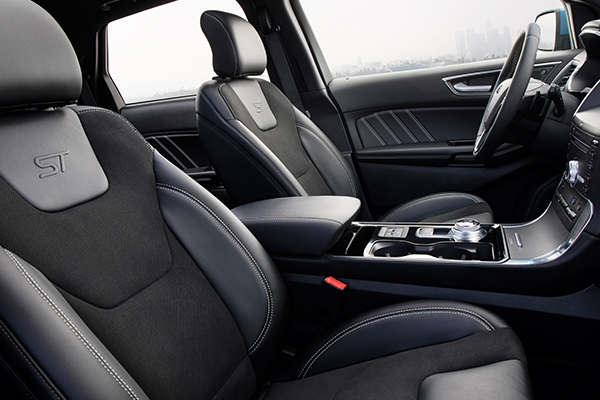 Sure, it's automatic, and yes, it's an SUV, but I'd take it as a daily driver. Considering other competitors in its class are a lot more boring for the buck (I'm talking about your, Kia Sorento and Nissan Murano), the Edge ST might be a great call for millennials to buy more SUVs. Ford is cooking up a mysterious, new ST model. Will self-driving cars carry more packages than people? Ford's smart-city vision little more than an 'interesting premise,' one industry analyst says.